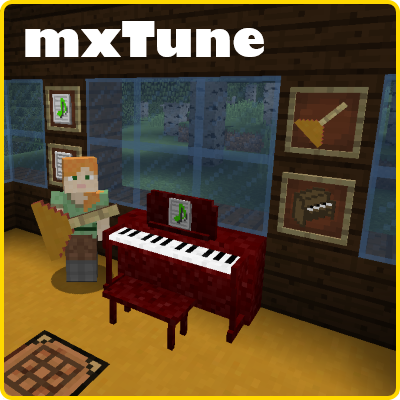 This mod adds musical instruments that allow you to play music in MML format. This is a format already used in some popular online games so there are many tunes available or you can create your own. You can play solo or in groups of up to eight players. If you experience a crash, PLEASE open an issue and include crash logs. 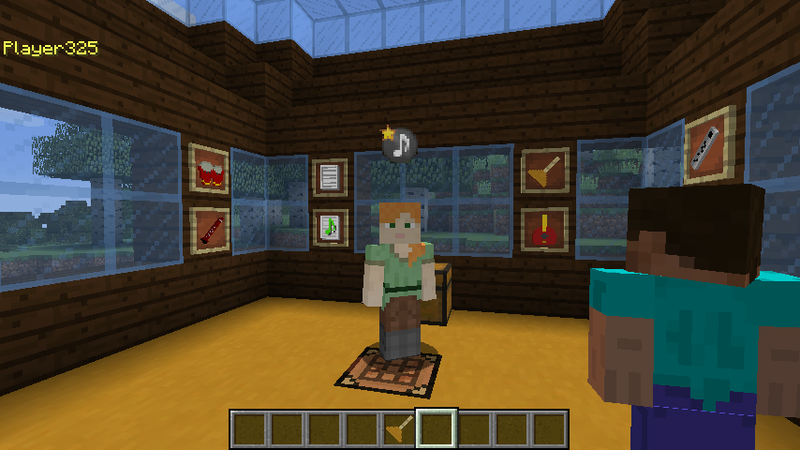 PLACE ALL OF YOUR SHEET MUSIC AND ITEM INSTRUMENTS IN VANILLA CHESTS AND/OR PLAYER INVENTORY. SHEET MUSIC IN PIANOS PLACED IN THE WORLD WILL BE UPDATED. The sheet music format changed. Added a song duration field and changed the internal nbt tag name from MusicBook to SheetMusic. Because of this I added a DATA-FIXER to update sheet music. It will only update sheet music to the new format in vanilla chests and player inventory. 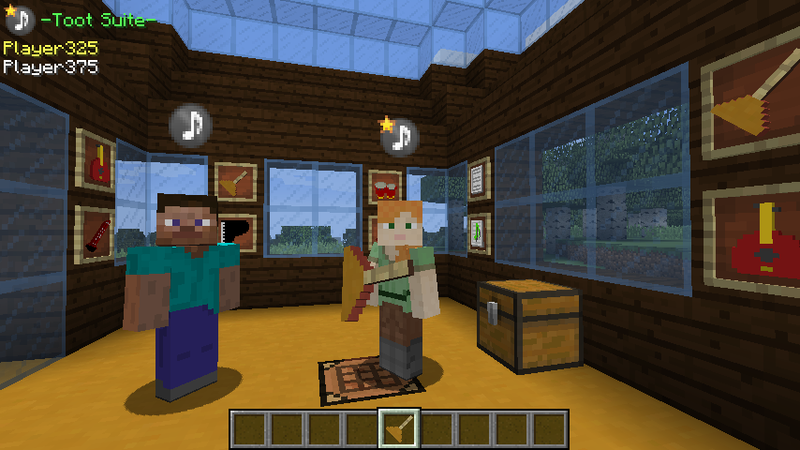 The sheet music loaded in instruments will also be updated provided they too are in vanilla chests or player inventory. New block: Band Amp - Lets you play multi-instrument MML Music. Place the music into the instruments and add them to the Band Amp inventory. It is red-stone and hopper friendly. Use these features to automate playing tunes in sequence using mine carts, etc. That's right it's a low tier musical automata. There are 12 slots. Yes you can now play Maple Story 2 (MS2) MML 10 part, 10 piece JAMS, though you are stuck with current Mabinogi compatible instruments at the moment. The existing Orchestra and Standard percussion sets can be used in place of the MS2 Timpani and Tom Toms respectively. Hand held Piano. It's intended to be used in the Band Amp. 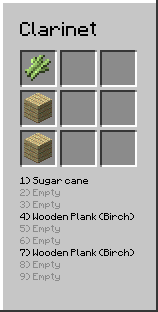 Add buttons to the hand held instrument inventory GUI's to open the Music Options and HUD placement dialog. Starting and stopping instruments is more reliable now. No more clicks and pops when force stopping a play session. *De-Wonkify the Music HUD adjustment screen. 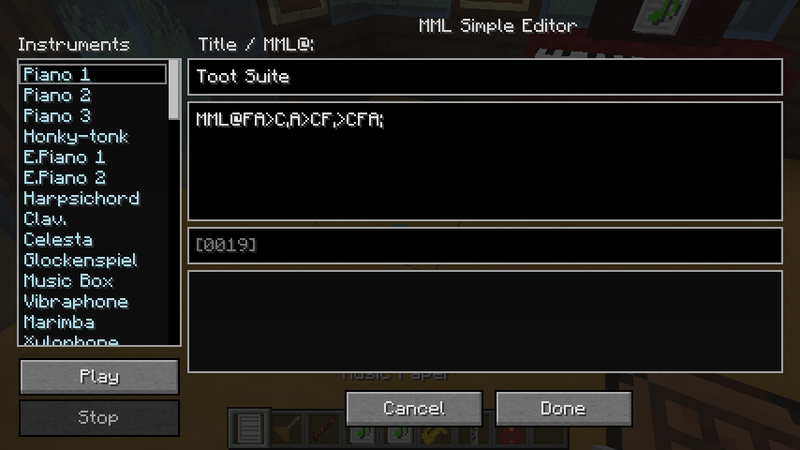 Add the ability to load MML files from 3MLE and Maple Story 2 ms2mml files. A personal MML player - i.e. tune lists, shuffle, etc. 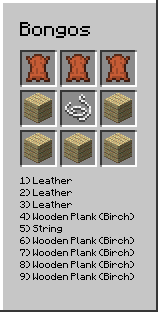 Music Themed MOBS and recipe changes for instruments that use common and rare drops. 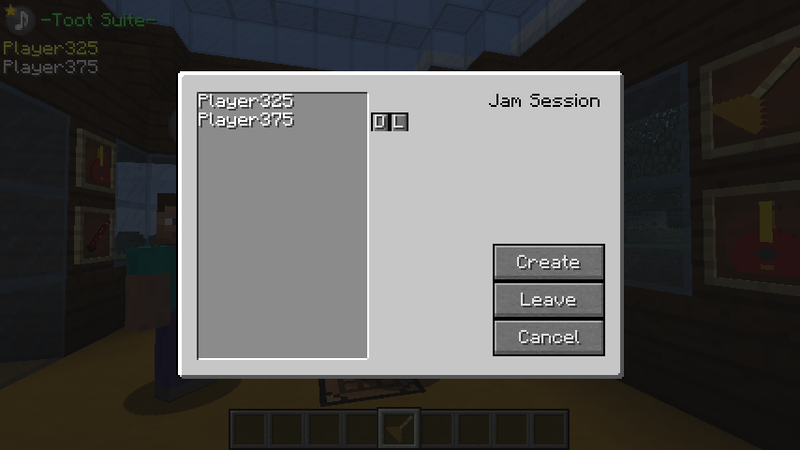 I've released a 1.7.10 version named mcJammer. It is the precursor to mxTune but it's very far behind in terms of features. 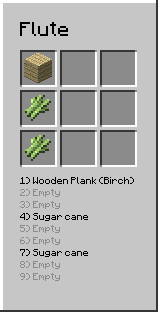 There are no recipes for any of the items for the mcJammer version. 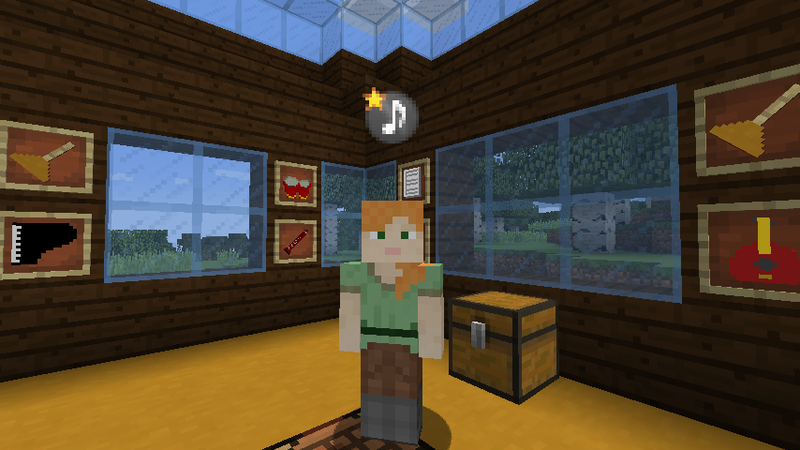 Grab some Music Paper from Creative mode or craft it from four pieces of paper and one ink sack. Hold the Music Paper in your main hand and right click air to open the dialog. If you hold an entire stack you will create a stack of the same piece of music. Enter a title in the upper text box and paste or type well formed MML into the center text box. The Done button will not activate if the MML entered does not contain a proper header "MML@" and and ending semi-colon ";". The MML is parsed in real time and it cannot be saved it there are errors. Errors will be displayed in red. Click on an error and the cursor in the editor will move to the error. If the MML parses without error the Play button on the left can be used to play the MML. A choice of instruments is listed on the left. Click OK and the item changes into a piece of Sheet Music. To play the enclosed MML, the Sheet Music must be placed into the inventory of an instrument. Hold an instrument, then SNEAK and Right Click. Place the Sheet Music into the slot and close the inventory. To play the instrument, hold it in your main hand and simply Right Click to activate. While playing you will be unable to move. If you want to stop playing you can press the ESC key. While holding an instrument the HUD will display the title and status in the upper left hand corner of the screen. This is currently hardcoded, but I intend to make if possible to configure the HUD layout. To place Sheet Music on the Piano Rack, hold a piece of Sheet Music in your main hand and right click the the piano. To sit at the piano, right click it with your main hand. Note you can't sit at a piano unless there is a piece of Sheet Music on the rack. To dismount press the left shift key. To REMOVE a piece of Sheet Music SNEAK and right click the piano. To play the piano there must be Sheet Music on the rack and your must be sitting at the piano, then right click the piano to begin playing. 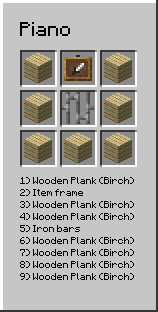 This is going to be a bit buggy since I just added this new block instrument recently. It made me realize I need to review the current system and refactor it to make it cleaner. There are blatant holes in various interactions. See if you can find them. 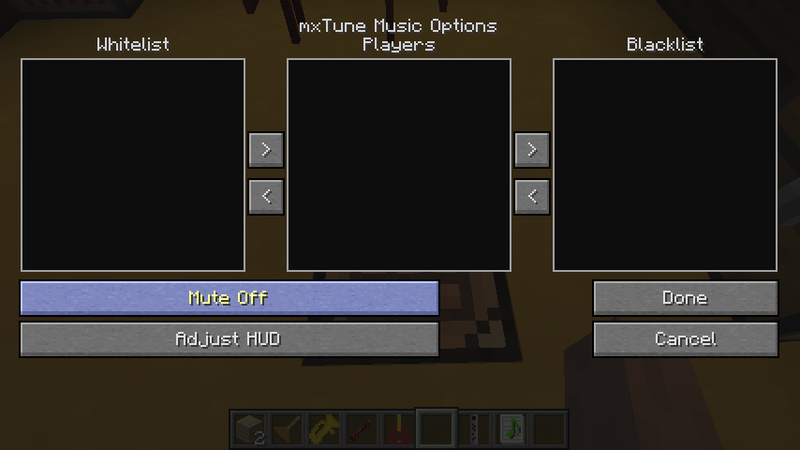 Latest development release - Mute Options added. Currently on the "P" keybind. Intended for multiplayer mode of course. At the moment players must be online for you to move them to the desired list. Mute Off - You can hear everything. Mute Others - Just hear yourself. Others can still hear you though. You can't JOIN a JAM. Mute Blacklist - Hear everyone except members on the Blacklist. You can still hear them if they are a member of a JAM, but not if they are the leader of the JAM. 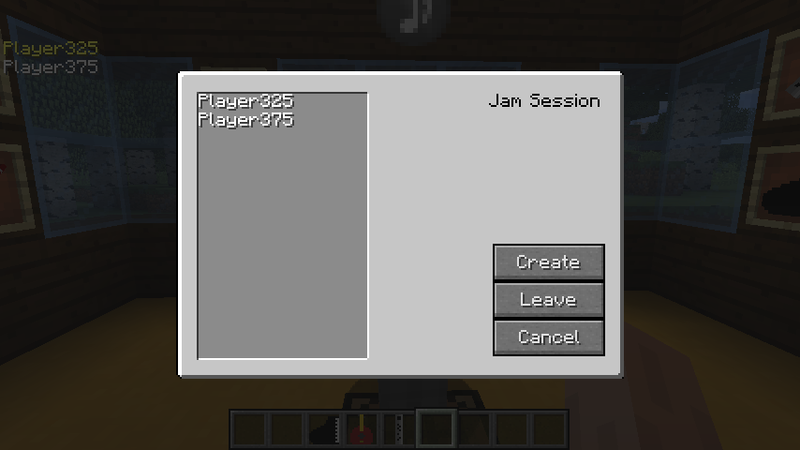 Allow Whitelist - Only hear yourself and music from players on the Whitelist. If a member is the leader of the JAM then you will hear ALL the members of the JAM. Mute All - effectively disables all MML Music. None of the options will STOP currently playing music, but they will prevent you from hearing newly launched tunes. Arrow Buttons ">", "<" - Situated between the lists, these are used to move players between the lists. Click on a player to select them, then click the appropriate arrow button. Adjust HUD - Change the location of the on-screen status widget. Done - Make sure to click this to save your changes. Cancel - Abort changes and return to the game. Once again I expect there will be some missed cases. I'm already aware of a few and will keep working to fill in the gaps. A basic party system was created that does not rely on the vanilla teams system. A party can have up to eight players. Members can be removed or promoted to leader. A member may leave at will. If a member dies or they leave the game they are ejected from the party automatically. Members of a party cannot sleep. Press "J" to create or open an existing party. If it's a new party you are the leader and your name will be at the top of the list once you click Create. To Join the party Right-Click the leader. Click Yes to join the party. Group Members. Note the Party HUD upper left. The leaders placard has a star. Leaders Party Dialog (J to open). Note the small buttons to the right of the 2nd member. The leader can (D)elete, or promote the member to (L)eader. The purpose of the group play is to ensure players are synchronized when they play. The leader initiates the start of the session, but before that can happen all the other members need to queue up their parts. 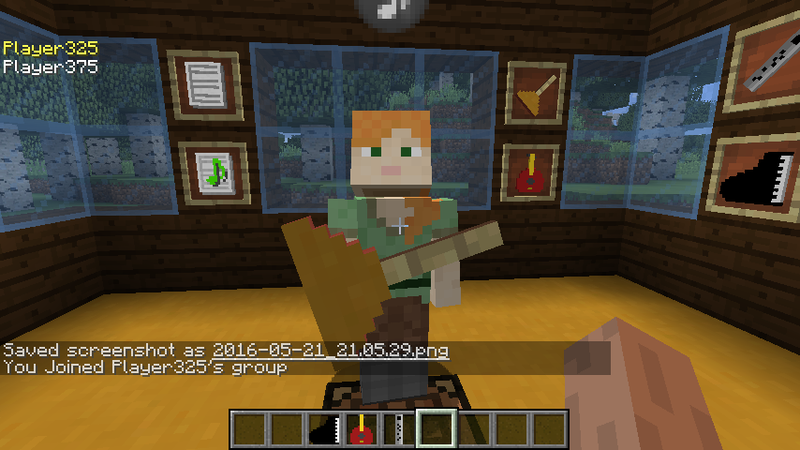 The process is the same as playing solo: Place the music in the instrument inventory, then while holding the instrument right-click the air. While in a group as a non-leader your placard will turn green, but you will not begin to play. Once everyone is ready, the leader just starts to play the usual way and all the member start to play. You really went above and beyond with this, especially with the Band Amp and just overall how easy the mod is to use. It's a ton of fun to play with, thank you. Thanks for your comment. I was not sure if anyone would find the Band Amp useful. I thought it would be fun to see if someone could automate playing a series of tunes. It's my first attempt at making a block interact with Redstone and Hoppers. We are SUPER excited for this Rymor, Keep up the *** Kicking! I just wanted to say Thank you! for updating this mod well into 2018. I really appreciate it. "[16:42:23] [Server thread/WARN] [FML]: Potentially Dangerous alternative prefix `minecraft` for name `tile_piano`, expected `mxtune`. This could be a intended override, but in most cases indicates a broken mod. 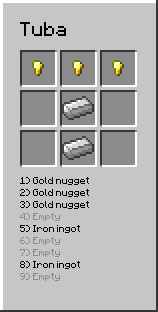 Edit: 1.12.2 , latest version. That is not a bug and is normal. If you look at your entire latest.log and debug.log you'll see those everywhere, even on model loading. It's the same as your mother warning you not to eat dessert before dinner because it'll ruin your appetite. It won't kill you, it won't alter you life, but you probably won't eat the New England roast she slaved over all day to make. It is simply a warning. In fact it's a warning to the mod author that eventually in one of the future FORGE versions that something will change that will cause their mod to fail. But, for you, right now, it's not even an error, it does not affect your game play or the instruments at all. I have a fix for that in my GitHub repository for a future release. It's not just my mod that does this, there are others. It's goes back a while, but recent versions of Forge are checking and warning about potential problems like this. In this case there is no mod identifier on the piano tile entity. Because of this there is potential for an id conflict with vanilla or some other mod. To correct this I made a data-fixer that will update this in existing worlds and of course do the right thing for new worlds. 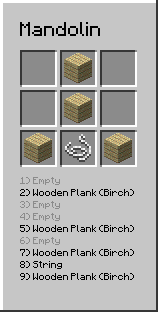 I expect to push out a release between the weekend and Christmas that includes a new block instrument and some fixes. How can you change the volume of the instruments in 1.7.10? 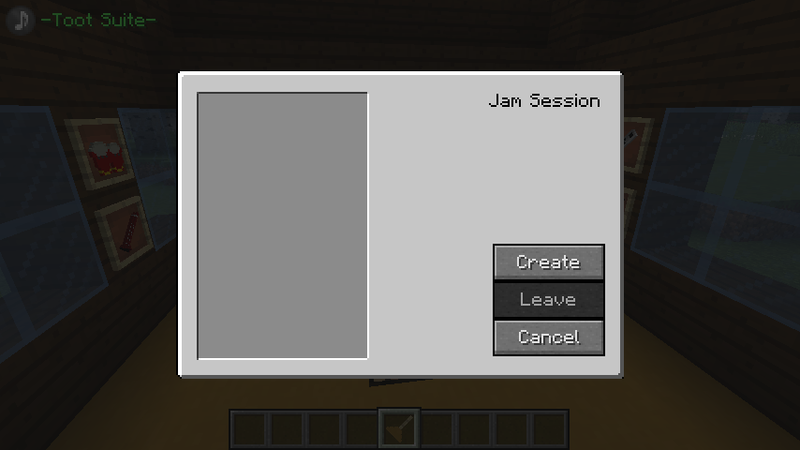 Since the McJammer 1.7.10 version uses javax midi audio you have to use the OS volume control for the running Minecraft application. So you need to set the overall MC volume from the operating system, then adjust the Minecraft Options/Sound sliders as needed for game sounds. Hello, me and my friends have been loving this mod so far, thank you really much for bringing this mod to life ! We'd like to make a small suggestion, do you think I'd be possible to have some sort of Jukebox that'd cycle through different music sheets in order to play them in the background, It'd be awesome ! A big thank from me and my friends once again for this awesome mod ! Hi Silvro, thanks for your comment. There was request for that a few comments down and I started work on it recently. To be honest I'm not fond of the storing tunes in the sheet music, it works, but it's a bit cumbersome. 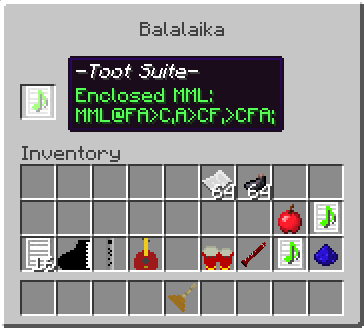 I'm considering a music library system for another mod I've started called Bard Mania. That would make jukeboxes and mob ensembles possible. Still just an idea at the moment. Thanks again for your kind words and request. Perhaps a GUI to play music live would be very neat. I'm in the midst of preparing to move to another state. An update may come, but I can't be sure exactly when. Oh my god, that looks amazing! Regarding playing live, I was thinking something like Final Fantasy XIV's bard performance (using minecraft gui/textures of course, nothing too fancy) like this one. When you hold Shift it uses an higher octave, while holding Ctrl will use a lower octave - nonetheless you are doing great, thank you for keeping us updated! That FFXIV Bard keyboard looks great and octave shift key feature makes sense. I fell in love with it at first sight, I'd sit there for hours playing my harp.. I've been working on a new mod and I'm trying some things out. Here's a teaser. I was just thinking about you today! That looks amazing, I'm very hyped!